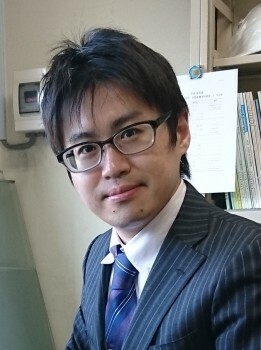 Dr. Yoshinori Takeuchi became Assistant Professor, Department of Biostatistics, School of Public Health, Graduate School of Medicine, The University of Tokyo in April 2016. Before that, he was the Pharmacoepidemiologist, Office of Medical Informatics and Epidemiology, Pharmaceuticals and Medical Devices Agency (PMDA) since April 2012. He got qualified as a veterinarian (DVM.) in 2007. He received his Ph.D. degree from The University of Tokyo in 2011 and MPH. degree from The University of Tokyo in 2012. He trained in veterinary internal medicine at Veterinary Medical Center of The University of Tokyo. Niikura R, Yamada A, Hirata Y, Hayakawa Y, Takahashi A, Shinozaki T, Takeuchi Y, Fujishiro M, Koike K. Efficacy of vonoprazan for gastroesophageal reflux symptoms in patients with proton pump inhibitor-resistant non-erosive reflux disease. Intern Med. 2018; 57(17): 2443-2450. Takeuchi Y, Shinozaki T, Matsuyama Y. A comparison of estimators from self-controlled case series, case-crossover design, and sequence symmetry analysis for pharmacoepidemiological studies. BMC Med Res Methodol. 2018; 18: 4. Takeuchi Y, Ando T, Ishiguro C, Uyama Y. Risk of acute asthma attacks associated with non-steroidal anti-inflammatory drugs: A self-controlled case series. Ther Innov Regul Sci. 2017; 51(3): 332-341. Ishiguro C, Takeuchi Y, Uyama Y, Tawaragi T. The MIHARI Project: Establishing a new framework for pharmacoepidemiological drug safety assessments by the Pharmaceuticals and Medical Devices Agency of Japan. Pharmacoepidemiol Drug Saf. 2016; 25(7): 854-859. Takeuchi Y, Bonkobara M. Receptor tyrosine kinase KIT: Prognostic and therapeutic involvement in canine mast cell tumours. Vet J. 2016; 210: 5-6. Irie M, Takeuchi Y, Ohtake Y, Suzuki H, Nagata N, Miyoshi T, Kagawa Y, Yamagami T. Imatinib mesylate treatment in a dog with gastrointestinal stromal tumors with a c-kit mutation. J Vet Med Sci. 2015; 77(11): 1535-9. Takeuchi Y, Kajiyama K, Ishiguro C, Uyama Y. Atypical antipsychotics and the risk of hyperlipidemia: A sequence symmetry analysis. Drug Saf. 2015; 38(7): 641-50. Takeuchi Y, Fujino Y, Watanabe M, Takahashi M, Nakagawa T, Takeuchi A, Bonkobara M, Kobayashi T, Ohno K, Uchida K, Asano K, Nishimura R, Nakayama H, Sugano S, Ohashi Y, Tsujimoto H. Validation of the prognostic value of histopathological grading or c-kit mutation in canine cutaneous mast cell tumours: A retrospective cohort study. Vet J. 2013; 196(3): 492-8. Takeuchi Y, Takahashi M, Tsuboi M, Fujino Y, Uchida K, Ohno K, Nakayama H, Tsujimoto H. Intestinal T-cell lymphoma with severe hypereosinophilic syndrome in a cat. J Vet Med Sci. 2012; 74(8): 1057-62. Takeuchi Y, Fujino Y, Fukushima K, Watanabe M, Nakagawa T, Ohno K, Sasaki N, Sugano S, Tsujimoto H. Biological effect of tyrosine kinase inhibitors on three canine mast cell tumor cell lines with various KIT statuses. J Vet Pharmacol Ther. 2012; 35(1): 97-104. Takeuchi Y, Fujino Y, Watanabe M, Nakagawa T, Ohno K, Sasaki N, Sugano S, Tsujimoto H. Screening of therapeutic targets for canine mast cell tumors from a variety of kinase molecules. J Vet Med Sci. 2011; 73(10): 1295-302. Takeuchi Y, Iizuka H, Kanemitsu H, Fujino Y, Nakashima K, Uchida K, Ohno K, Nakayama H, Tsujimoto H. Myeloma-related disorder with leukaemic progression in a cat. J Feline Med Surg. 2010; 12(12): 982-7. Takeuchi Y, Fujino Y, Watanabe M, Nakagawa T, Ohno K, Sasaki N, Sugano S, Tsujimoto H. Aberrant autophosphorylation of c-Kit receptor in canine mast cell tumor cell lines. Vet Immunol Immunopathol. 2010; 137(3-4): 208-16. Takeuchi Y, Fujino Y, Goto-Koshino Y, Ohno K, Uchida K, Nakayama H, Tsujimoto H. Long term survival of primary skeletal muscle lymphoma in a miniature dachshund. J Vet Med Sci. 2010; 72(5): 673-7. Takeuchi Y, Matsuura S, Fujino Y, Nakajima M, Takahashi M, Nakashima K, Sakai Y, Uetsuka K, Ohno K, Nakayama H, Tsujimoto H. Hypereosinophilic syndrome in two cats. J Vet Med Sci. 2008; 70(10): 1085-9. Takeuchi Y, Uetsuka K, Murayama M, Kikuta F, Takashima A, Doi K, Nakayama H. Complementary distributions of amyloid-beta and neprilysin in the brains of dogs and cats. Vet Pathol. 2008; 45(4): 455-66. Takeuchi Y, Ohnishi Y, Matsunaga S, Nakayama H, Uetsuka K. Intracranial meningioma with polygonal granular cell appearance in a Chihuahua. J Vet Med Sci. 2008; 70(5): 529-32. 石黒智恵子, 竹内由則, 山田香織, 駒嶺真希, 宇山佳明. MIHARI Projectで得られた成果と今後の展望. 薬剤疫学. 2015; 20(1): 3-13. 竹内由則. 医薬品安全対策への電子診療情報の活用 MIHARI Project. PHARMSTAGE. 2015; 15(3): 1-3. 竹内由則, 藤野泰人, 渡邊学, 中川貴之, 高橋雅, 竹内文乃, 盆子原誠, 小林哲也, 大野耕一, 内田和幸, 浅野和之, 菅野純夫, 西村亮平, 大橋靖雄, 辻本元. イヌの肥満細胞腫におけるKIT遺伝子変異および病理組織学的分類の予後への影響. SA Medicine. 2012; 14:78-9. 中嶋眞弓, 大野耕一, 竹内由則, 竹内文乃, 中島亘, 藤野泰人, 辻本元. イヌの動的栄養指標蛋白としての血漿トランスフェリン値の有用性. ペット栄養学会誌. 2012; 15(2): 65-71. 竹内由則, 藤野泰人, 渡邊学, 中川貴之, 大野耕一, 菅野純夫, 佐々木伸雄, 辻本元. 犬の肥満細胞腫に対する新規治療標的に関する探索的研究. JVM獣医畜産新報. 2011; 64(9): 740-2. 竹内由則, 大野耕一. 全身性エリテマトーデスと診断した犬の2例. INFOVETS. 2010; 13: 19-22. 竹内由則, 辻本元. 好酸球増加症候群. SA Medicine. 2010; 12: 43-4. 竹内由則, 藤野泰人, 大野耕一, 渡邊学, 菅野純夫, 佐々木伸雄, 辻本元. 犬の肥満細胞腫細胞株におけるc-kit遺伝子全塩基配列解析およびKIT蛋白リン酸化の解析. JVM獣医畜産新報. 2009; 62(7): 537-9. 竹内由則, 藤野泰人, 中嶋眞弓, 望月学, 高橋雅, 中島亘, 宮田勝重, 上塚浩司, 中山裕之, 大野耕一, 辻本元. 好酸球増多症候群を呈した猫の１例. INFOVETS. 2007; 10(10): 13-8. Komamine M, Ishiguro C, Takeuchi Y, Uyama Y. Cardiovascular Risks Associated with Dipeptidyl-Peptidase 4 Inhibitor Compared to Other Diabetes Drugs: a Cohort Study (poster presentation). 32nd International Conference on Pharmacoepidemiology & Therapeutic Risk Management. Dublin. Aug 2016. Takeuchi Y, Higa S, Endo A, Matsui K, Watanabe S. The Risk of Acute Asthmatic Attacks Associated with Different Dosage Forms of Non-Steroidal Anti-Inflammatory Drugs: a Self-Controlled Case Series Study (poster presentation). 30th International Conference on Pharmacoepidemiology & Therapeutic Risk Management. Taipei. Oct 2014. Takeuchi Y, Fujino Y, Nakagawa T, Watanabe M, Fukushima K, Ohno K, Sasaki N, Sugano S, Tsujimoto H. Biological effect of tyrosine kinase inhibitors on three canine mast cell tumor cell lines with and without c-kit mutation. Veterinary Cancer Society 2010 Annual Conference, San Diego, Oct-Nov 2010. Takeuchi Y, Fujino Y, Takahashi M, Watanabe M, Ohno K, Nakagawa T, Nishimura R, Sasaki N, Sugano S, Tsujimoto H. Aberrant autophosphorylation of KIT in canine mast cell tumor cell lines. Asian Meeting of Animal Medicine Specialties 2009. Taipei. Dec 2009. 竹内由則, 石黒智恵子, 遠藤あゆみ, 宇山佳明, 近藤恵美子. Sequence Symmetry Analysis による脂質異常症発現リスクについてのシグナル検出. 日本薬剤疫学会第20回学術総会. 松山市. 2014年10月. 竹内由則, 比嘉辰伍, 遠藤あゆみ, 松井和浩, 渡邊伸一. 自己対照ケースシリーズを用いたNSAIDs処方後における急性喘息発作発症リスクのシグナル検出. 日本薬剤疫学会第19回学術総会. 東京都. 2013年11月. 入江充洋, 竹内由則, 鈴木ひとみ, 伊藤大輔, 大竹祐蔵, 山口陽子, 三好拓馬, 福島敬之, 渡邊俊文, 藤野泰人, 大野耕一, 辻本元. メシル酸イマチニブが著効したc-kit Exon9に変異が認められた犬の消化管間質腫瘍（GIST）の1例. 第9回日本獣医内科学アカデミー大会. 横浜市. 2013年2月. 竹内由則, 藤野泰人, 渡邊学, 中川貴之, 高橋雅, 竹内文乃, 盆子原誠, 小林哲也, 大野耕一, 内田和幸, 浅野和之, 菅野純夫, 西村亮平, 大橋靖雄, 辻本元. イヌの肥満細胞腫におけるKIT遺伝子変異および病理組織学的分類の予後への影響. 日本獣医内科学アカデミー/日本獣医臨床病理学会2012年大会. 横浜市. 2012年2月. 竹内由則, 藤野泰人, 渡邊学, 中川貴之, 大野耕一, 菅野純夫, 西村亮平, 佐々木伸雄, 辻本元. イヌの肥満細胞腫に対する新規治療標的に関する探索的研究. 日本獣医内科学アカデミー/日本獣医臨床病理学会/日本獣医皮膚科学会 2011年大会. 横浜市. 2011年3月. 水谷格之, 藤野泰人, 竹内由則, 高橋雅, 中島亘, 後藤裕子, 原田智亨, 坂井祐介, 内田和幸, 大野耕一, 中山裕之, 辻本元. 犬のリンパ腫における免疫学的形質検出法の比較検討. 第148回日本獣医学会学術集会. 鳥取市. 2009年9月. 竹内由則, 藤野泰人, 大野耕一, 渡邊学, 菅野純夫, 佐々木伸雄, 辻本元. 犬の肥満細胞腫細胞株におけるc-kit遺伝子全塩基配列解析およびKIT蛋白リン酸化の解析. 日本獣医内科学アカデミー/日本獣医臨床病理学会 2009年大会. 東京都. 2009年2月. 茅野順子, 山崎淳平, 竹内由則, 後藤裕子, 苅谷和廣, 浅井洋子, 白井活光, 小林哲也,坂井祐介, 上塚浩司, 中山裕之, 藤野泰人, 大野耕一, 辻本元. 猫のリンパ腫における細胞学的分類および免疫学的表現型に関する検討. 第28回動物臨床医学年次大会. 大阪市. 2007年11月. 竹内由則, 藤野泰人, 千々和宏作, 高橋雅, 中島亘, 田中照彦, 周藤行則, 上塚浩司, 中山裕之, 大野耕一, 辻本元. 犬の骨格筋型リンパ腫の2例. 第28回動物臨床医学年次大会. 大阪市. 2007年11月. 竹内由則, 三角加奈子, 玉原智史, 小野憲一郎, 辻本元. 血友病Bと診断したミニチュア・シュナウザーの1例. 第4回日本獣医内科学アカデミー学術大会. 東京都. 2007年8月. 竹内由則, 中山裕之. イヌとネコの大脳におけるNeprilysinの発現および活性とbeta-Amyloid沈着との関連（ポスター発表）. 第143回日本獣医学会学術集会. つくば市. 2007年4月. 竹内由則. Self-controlled case seriesの概要とデータベース研究における適用事例. 第5回生物統計情報学シンポジウム「医療リアルワールドデータの実際と今後」. 東京都. 2018年11月. 竹内由則. 多重補完法による欠測共変量の補完における課題. 日本薬剤疫学会第24回学術総会. 仙台市. 2018年10月. 竹内由則, 篠崎智大. 観察研究データを用いた統計モデルによる交絡調整の実践. 日本薬剤疫学会第24回学術総会. 仙台市. 2018年10月. 竹内由則. 医療情報データを利用した医薬品の製造販売後安全性評価～PMDAでの経験に基づいて～. 日本メディカルライター協会 第16回 講演会. 東京都. 2017年5月. 竹内由則. 医療情報データを用いた医薬品安全性評価とその小動物医療への応用可能性. 第49回獣医疫学会学術集会. 東京都. 2017年3月. 竹内由則. 医療情報データベースを用いた薬剤疫学研究の市販後安全対策への活用. 医療薬学フォーラム2016. 大津市. 2016年6月. 竹内由則. 規制当局における薬剤疫学教育. 日本薬剤疫学会第21回学術総会. 伊奈町. 2015年11月. 竹内由則. 規制当局における薬剤疫学の医薬品安全対策への活用. 第5回レギュラトリーサイエンス学会学術大会. 東京都. 2015年9月. 竹内由則. MIHARI Projectで実施した試行調査の概略. 2015年度日本計量生物学会・応用統計学会チュートリアル. 京都市. 2015年3月. 竹内由則. MIHARI Projectで実施した試行調査の概略. 日本薬剤疫学会第20回学術総会. 松山市. 2014年10月. 竹内由則. 動物の肥満細胞腫瘍. 「リンパ腫と組織球系腫瘍・肥満細胞腫瘍の比較病理学」シンポジウム. 岡崎市. 2012年12月.